The biggest video game franchise in WWE history is back with WWE 2K18! Featuring cover Superstar Seth Rollins, WWE 2K18 promises to bring you closer to the ring than ever before with hard-hitting action, stunning graphics, drama, excitement, new game modes, additional match types, deep creation capabilities, and everything you’ve come to love from WWE 2K. Be Like No One! Most Realistic WWE Video Game Ever! 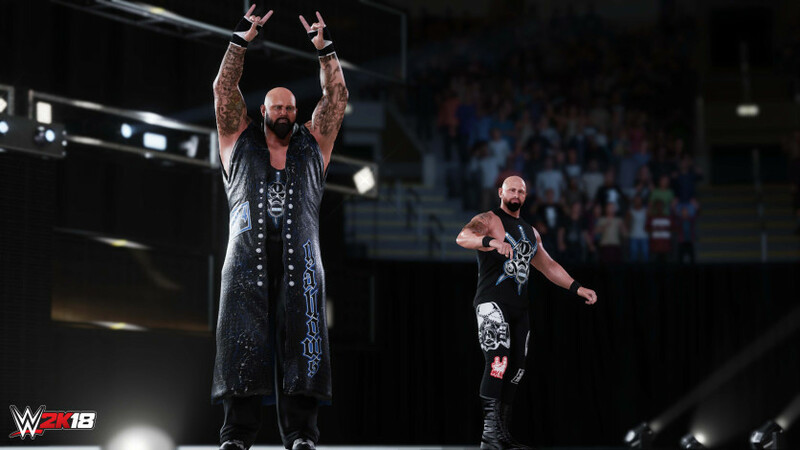 The most realistic WWE video game experience just became more intense with the addition of eight man matches, a new grapple carry system, new weight detection, thousands of new animations and a massive backstage area. 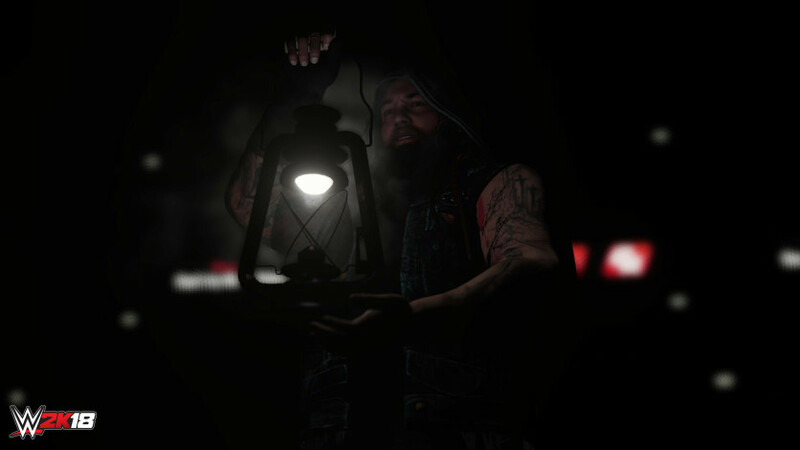 A brand-new rendering engine also gives WWE 2K18 a visual overhaul and will bring the drama of WWE to life like never before! MyCAREER: A new MyCAREER experience puts you on the path to greatness as you journey along on the road to WrestleMania. Explore WWE like never before through free-roaming, conversing with WWE Superstars, forming alliances, making enemies, seeking out quests, and strategizing for upcoming matches. Road to Glory: Can your MyPlayer make it to the WWE Hall of Fame? Introducing the all-new Road to Glory! Compete with opponents online to improve your MyPlayer by earning unlockables, boosts and upgrades all while securing your entry into Special Events that are held alongside real-life WWE special events, such as pay-per-views. Dynamic Creation Suite: Customize WWE like never before with an even deeper set of customization tools and the new Custom Match option! The robust Creation Suite also offers even more detailed features for Create-a-Superstar, Create-a-Video and Create-an-Arena. Seriously, THE BIGGEST ROSTER EVER! Dominate the ring with TONS of your favorite WWE, NXT and legendary Superstars! We’re not kidding, WWE 2K18 offers the most complete roster of the biggest and brightest WWE Superstars to ever grace a WWE ring! The biggest video game franchise in WWE history is back with WWE 2K18! 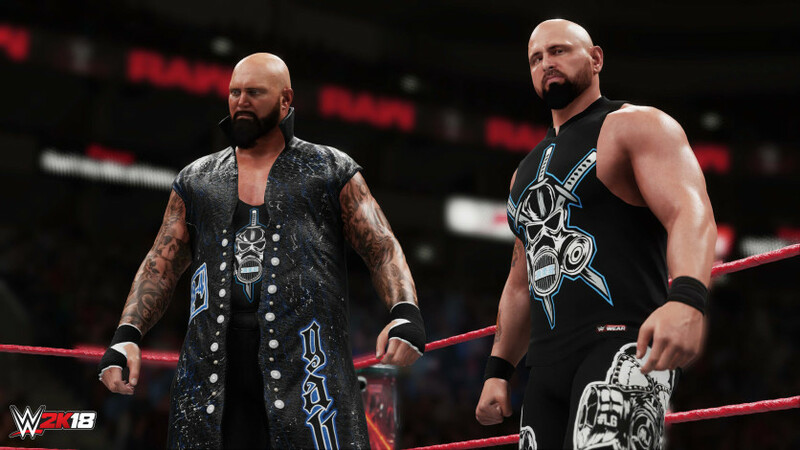 The Deluxe Edition grants access to the WWE 2K18 Season Pass, MyPlayer Kick Start, Accelerator, two playable versions of Kurt Angle, Cena (Nuff) content and more! After more than a decade-long hiatus, your Olympic Hero has returned! Receive two playable versions of WWE Hall of Fame Class of 2017 inductee Kurt Angle! 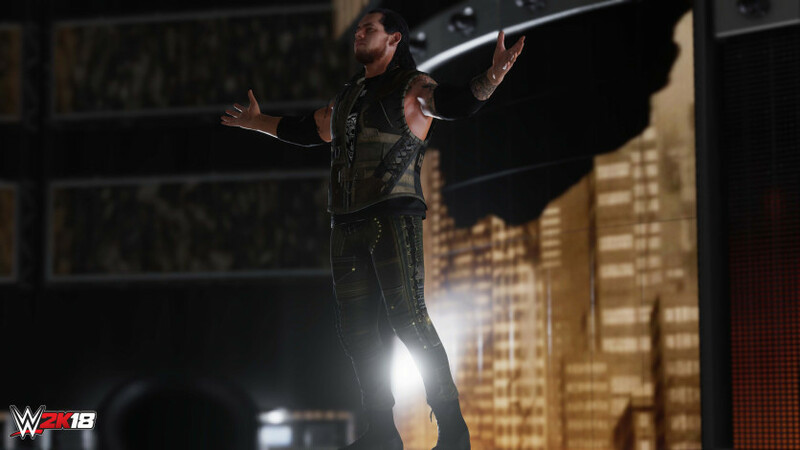 Play as his WWE “American Hero” persona (2001) or as his ECW “Wrestling Machine” persona (2006). Celebrate the 15th anniversary of one of the most beloved, and divisive WWE Superstars in history with exclusive digital content! Play as two of John Cena’s fiercest rivals over his career, Rob Van Dam and Batista! You also receive two versions of John Cena (2001 & 2006)! © 2005-2017 Take-Two Interactive Software e suas afiliadas. 2K, o logotipo 2K e Take-Two Interactive Software são marcas comerciais e/ou registradas da Take-Two Interactive Software, Inc. Desenvolvido pela YUKE'S Co., Ltd. YUKE'S Co., Ltd. e sua logomarca são marcas comerciais e/ou registradas da YUKE'S Co., Ltd. Toda a programação, nomes, imagens, aparências, slogans, golpes de luta, marcas comerciais, logomarcas e direitos autorais da WWE são propriedade exclusiva da WWE e suas afiliadas. © 2017 WWE. Todos os direitos reservados. Todas as demais marcas são de propriedade dos seus respectivos donos.